10.26.06 In an exciting four-way tie for first at the Washington County Chess Federation October Swiss, Richard Look emerged in the number one spot after the calculation of tiebreaks. Joining him on the crosstable with three points out of a possible four were Michael McCabe, Hoty Briggs and Tarik Benabdallah. 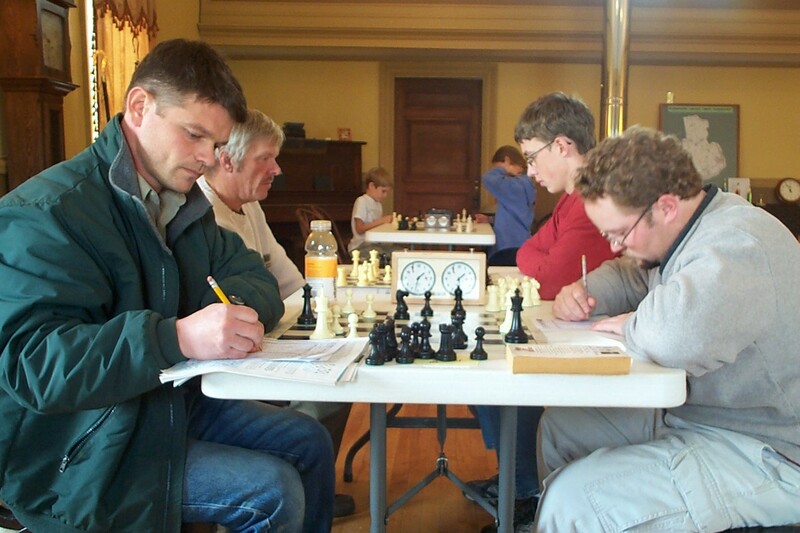 The tournament, which took place at the Machias Valley Grange Hall on October 21, 2006, was the second in a monthly series of tournaments sponsored by the Washington County Chess Federation. 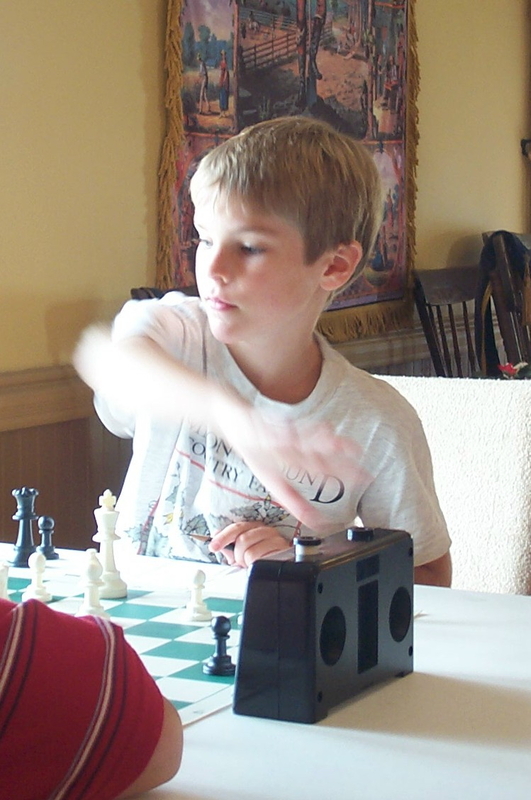 Rafi Hopkins (foreground left) plays the white pieces vs Jade Murdick while Richard Look (background left) does battle with Nathaniel Simpson at the Washington County Chess Federation October Swiss. The hand is quicker than the eye: Ezra Briggs' hand is a blur of motion as he presses his clock. Ezra's eyes however, remain fixed on his opponent's king. Up for grabs were a nice assortment of trophies. Next month's WCCF tournament will take place on November 18, 2006 in Eastport. Click here for more details. You can also click on the Events link from any ChessMaine.net page.